World’s smallest gyroscope; tiny photon sources; quantum networks. 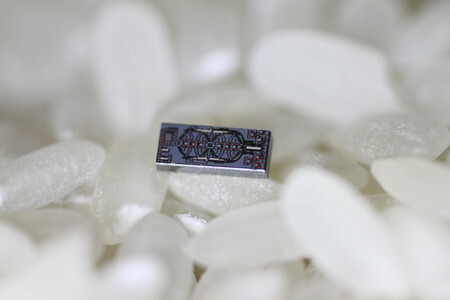 The California Institute of Technology has developed the world’s smallest optical gyroscope. The gyroscope is 500 times smaller than current devices, but it can detect phase shifts that are 30 times smaller than today’s systems. Gyroscopes are devices that help systems locate and know their orientation. Today’s smartphones use MEMS-based gyroscopes, but they are limited in terms of sensitivities. In response, the industry has developed optical gyroscopes. They perform the same function as MEMS-based gyroscopes, but they have better accuracy and no moving parts. This is using a phenomenon called the Sagnac effect, which is named after French physicist Georges Sagnac. In this effect, a beam of light is split into two. Then, the twin beams travel in opposite directions along a circular path. The two beams meet at the same light detector. One beam arrives before the other. This phase shift is used to calculate orientation. The Sagnac effect is considered a nonreciprocal technique. “Here, we demonstrate an all-integrated nanophotonic optical gyroscope by exploiting the reciprocity of passive optical networks to significantly reduce thermal fluctuations and mismatch. The proof-of-concept device is capable of detecting phase shifts 30 times smaller than state-of-the-art miniature fiber-optic gyroscopes, despite being 500 times smaller in size. Thus, our approach is capable of enhancing the performance of optical gyroscopes by one to two orders of magnitude,” according to researchers from the university. 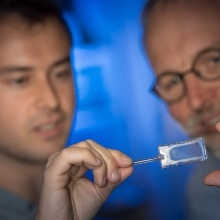 The University of Stuttgart has developed what researchers say is the world’s smallest single-photon source that works at room temperatures. A photon is a particle of light. Light bulbs, the sun and other systems emit many photons at once and in random order. A single photon source emits a single photon in a controlled way. Single photon technology is a hot topic. Each particle can be used to carry digital information that cannot by hacked. This in turn makes the technology attractive for quantum communications and related technologies. There are different types of single photon sources, such as quantum dots or nitrogen defect centers in diamonds, according to the University of Stuttgart. Researchers from the University of Stuttgart have developed a single-photon source that can be operated without special cooling methods. The single-photon source is a credit card-sized glass cell, which is filled with a vapor of rubidium atoms. Physicists at the University of Stuttgart are developing the first single-photon source that works with atomic gases at room temperature. Light is generated based on interactions between the individual atoms in the vapor cell. The atoms are brought into excited states by laser light. “Since the atoms are trapped in a microscopically small glass cell, only one Rydberg excitation can ever occur in this cell – no matter how many atoms are trapped in the cell,” said Fabian Ripka, a researcher at the University of Stuttgart. The Argonne National Laboratory, the Fermi National Accelerator Laboratory and the University of Chicago have formed a partnership to develop a quantum communications network. Supported by the U.S. Department of Energy, the network will stretch between Argonne and Fermi. The 30-mile connection will send secure information using quantum physics.